Gößweinstein is a small town famous for its Neo-Gothic castle. Other attractions include the Franconian Toy Museum, and steam locomotive rides on the Franconian Switzerland Steam Railway. 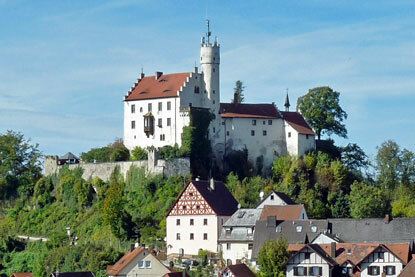 Gößweinstein Castle is open from Easter to the end of October, daily from 10:00 am to 6:00 pm. Admission is 1 € for adults and 0.5 € for concessions, students and children.